If we consider the last half of this year alone, we see how the Ismaili Imam is fulfilling his mandate. In June and July, he spent an extended period of time with his followers in East Africa to perform religious ceremonies and inspire them with words of wisdom for their spiritual and material well-being. 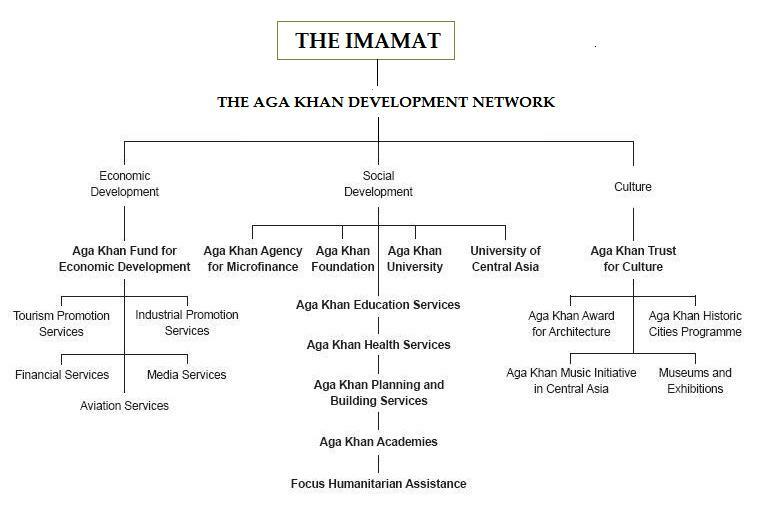 Then, in a very short period between October 29th and November 7th, His Highness the Aga Khan visited half-a-dozen countries for Imamat related projects, which fall under the aegis of the Aga Khan Development Network (AKDN), of which he is the chairman and founder. He began his tour in New Delhi to review progress on the restoration of Humayun’s Tomb and the work at Sunder Nursery in the capital region of Delhi; his next stop was Kabul where he met with President Karzai to discuss the progress of AKDN activities in Afghanistan. This was followed by a brief two day visit to Tajikistan where he witnessed the inauguration of the Dushanbe Serena Hotel as well as participated in the foundation-stone ceremony of a new bridge connecting Afghanistan and Tajikistan to be built with AKDN support. Mawlana Shah Karim al-Hussaini, left, marking his second birthday with uncle Prince Sadruddin and younger brother Prince Amyn on December 13, 1938. Not more than 72 hours after, he was in Ottawa to preside over a meeting with the directors of the Global Centre for Pluralism and also to meet with the Canadian Foreign Affairs Minister John Baird to discuss the Canadian Government’s priority to establish the Office of Religious Freedom. At the wink of the eye, he was in Chicago signing an Agreement of Cooperation between the State of Illinois and the Ismaili Imamat. The visit to Chicago also included talks on early childhood education and media and communications. 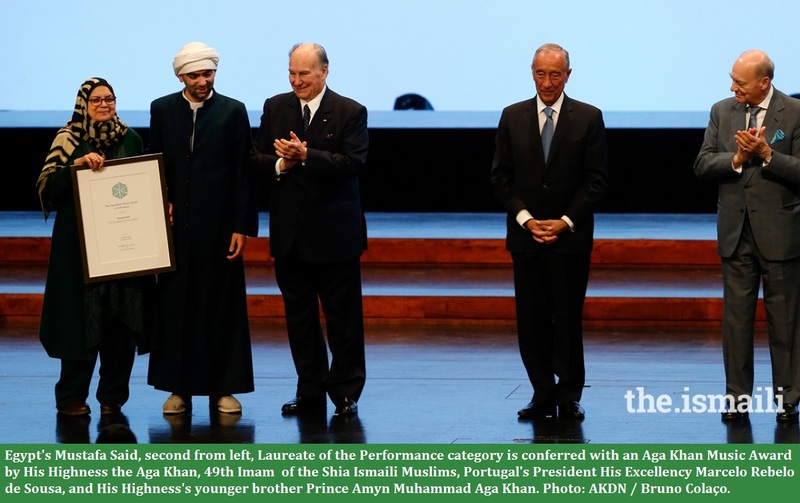 Such has been the life of His Highness since he began his reign as the Ismaili community’s 49th spiritual leader at the age of twenty. He has over the past 54 years, guided the spiritual growth of his Ismaili followers as well as helped them achieve a better material life through economic, social, and cultural progress. The Aga Khan has articulated that education, self-help, unity, character and generosity as well as the ethic of keeping a balance between the spiritual (din) and temporal (dunya) are the elements which keep a community vibrant and healthy and lead to enlightenment and dignity. His tireless endeavours for his global community have also led to the improvement, well-being and dignity of human beings in some of the world’s poorest, most deprived and most diverse communities regardless of faith, origin or gender. It is impossible to do adequate justice to his vast and monumental work in any form. Akber Kanji of Toronto sought to capture some of the numerous projects of the Ismaili Imam through a highly creative digital work which he titled “The Closer You Come the More You Will See Him.” We published his remarkable image last March, and do so again in this brief tribute so that our readers may get a glimpse and seek to understand and appreciate the scope and depth of the work of His Highness the Aga Khan. Ismailis around the world have a very deep sense of affection and love as well as engagemnent with their beloved Imam. However, we all realize that even in ordinary lives the affection that parents have for their children is unsurpassed and cannot be equally recipocrated. The same holds for the Ismaili Imam. The Prophet and his successor, the Imams, are regarded as the spiritual parents of their respective communities, and for this reason Mawlana Hazar Imam has himself said: “When I leave this evening I would like that you should remember two things. One, that I will take with me in my heart the remembrance of each and everyone of you, the face of each and everyone of you. Secondly, that my love for my Jamat is a lot stronger than yours can ever be for me and I would like you to remember this…you must remember that Imam loves you more, much more than you can ever love him and you must be strong in this knowledge.”….Farman Mubarak, Pakistan visit 1964, Ismailia Association for Pakistan. To honour His Highness the Aga Khan on his 75th birthday, we present this short tribute that encaspulates the life of the Ismaili community from the earliest times to the present through images, photos and pertinent quotes. We join Ismailis and other well wishers around the world in one voice to wish His Highness the Aga Khan a very happy birthday and a very long life. Ismailis eagerly await the celebration of his Diamond Jubilee in 2017. Jabal Mashhad in Salamiyya, Syria, is thought to hold the tomb of the 8th Ismaili Imam Wafi Ahmed. Photo: Arif Babul, Vancouver. Copyright. August 21, 1957: Lord Chamberlain, the Earl of Scarborough, and the new Ismaili Imam, Prince Karim, at the memorial ceremony for the late Ismaili Imam, held at the Woking Mosque outside London. More about the logo: In Islam, the hand has a number of meanings: its shape reflects its comprehensive and positive character, while its constituents represent the five principles of Islam and the five senses of the human body. 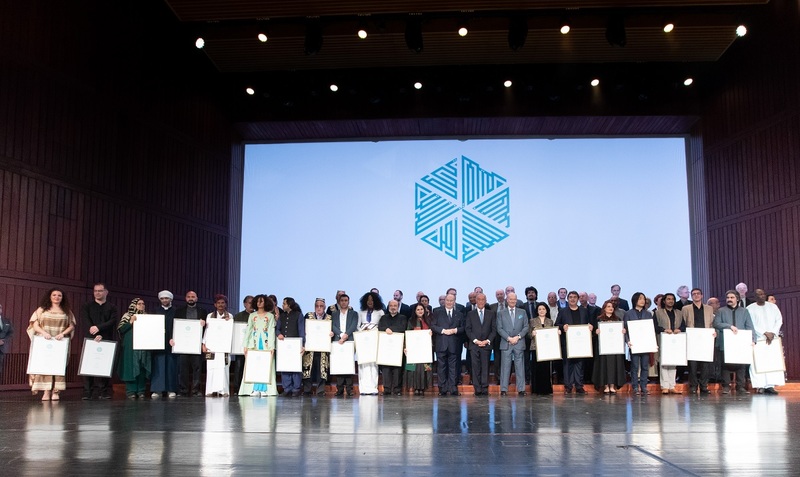 The stylized fingers of the Aga Khan Foundation logo represent “Allah” in the Kufic script, and the interlacing beneath the fingers correspond to the anatomy of the hand and also delienates the sign, which in Chinese stands for Wisdom. Date posted: Monday, December 12, 2011. Very Inspiring article. Mowlabapa. I wonder how can you work so hard even at this age. Managing thousands of Schools, Hospitals, Hotels, Industries, the list will go on & on & on. UNBELIEVABLE. Mowla take care of your Health & do take some Rest too. (We Know who you are Spritually) but you need to take some Rest & Relax a bit. Love You. 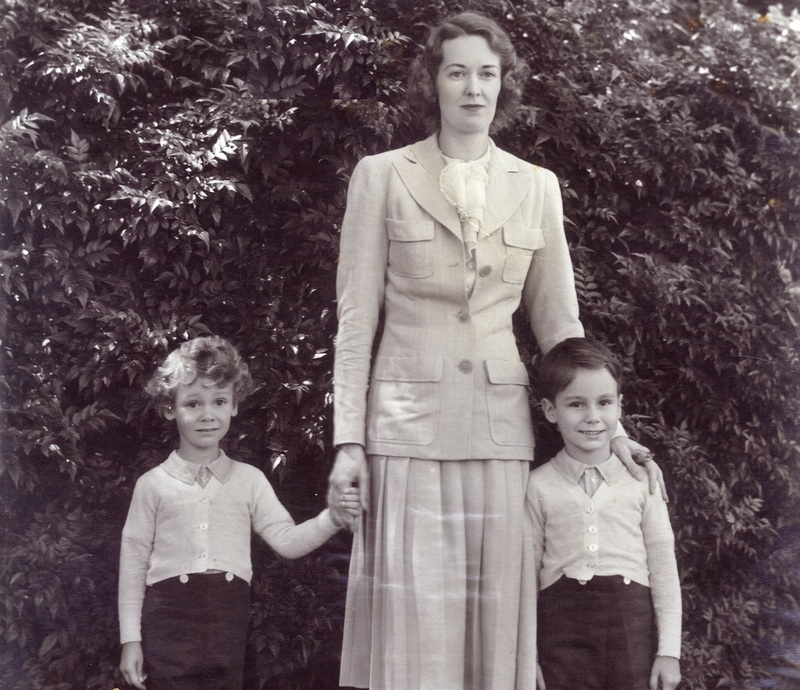 What an inspiring story that was published for my beloved Mawlana Hazar Imam’s Salgirah. mawla amne che tamaro aatharje. Happy birthday ya ali bapa. You are with us and we are with you. Tum jiyo hazaro saal saal ke ho pachas hazar – Happy birthday to you Mawla bapa I love you, you are always on my mind, you are always on my mind. Shukranlillah, walhamdulillah! We Ismailis are so fortunate and can be proud to have a leader in our midst who is continuously guiding us for our spiritual and material well being. No community can claim that. Happy 75th Birthday to our beloved Hazar Imam Shah Karim Al-Hussainy. Ya Mawla, we still feel your hand on our shoulder which you gifted to your Murids during your Golden Jubilee celebrations. Please, please do not let it go and let our Iman grow stronger each day! Thanks to Simerg for sharing this beautiful and priceless collection of pictures and activities of Mawla’s unique and incredible way of life. This is a treasure indeed! A great human being, and an example for others. Thanks for your hard work for providing this enlightening series on His Highness the Aga Khan who is doing so much for the socio-economic progress of millions around the world as well as for the spiritual uplift of his Ismaili followers. May His guidance always be with us. How blessed we are! “AN UNMATCHED LEGEND OF OUR TIMES”–Only an Enlightened Soul could Accomplish, what Our Beloved Imam has, in his Glorious years of Imammat. Khudawand please gives us all Ruhani Roshani and Rushani Raaz. Khudawand please forgive all sins for our all ruhani souls and send them to eternal peace. Shukar Mawla and we all know you are there for us. Heartiest congratulations on your 75th Salgirah. Wishing that your presence remains with us for a very long time, and that your choicest blessings lead us along the rocky lives of ours and your guidance becomes the very bright star on the darkest nights. May you alway walk by our sides and grace us with your Holy Zaheri and Batuni deedar. Ameen. I’m proud to be born an Ismaili. No matter where I remain, what I do, my feelings for the Imam shall never change. My faith shall never lose its path – the path of Siratul Mustaqeem. Wishing all my brothers and sisters a heartiest Khushiali Mubarak. A greatest honour and luck to be born in Ismaili faith and be Hazar Imam’s murid. It is he who brought our fathers from the slums of India, educated us in his Schools in Africa, prepared us for western world and spending his entire life for the betterment of his community. Looking at the pictures and reading the article makes me realize once again that we are indeed a very blessed jamat. I am very thankful to Mawla for keeping us a safe and secure jamat for the last so many years. No doubt, we all Ismailis are very lucky to have been born in this sathpanth deen, Shukar Mawla tera lakh lakh. Imam writes his destiny, no one can write one for him. The Imam likes his murids to follow his farmans. and ask you please to forgive our sins. our love as high as the sky. Dear Rashida: What a down-to-earth prayer. 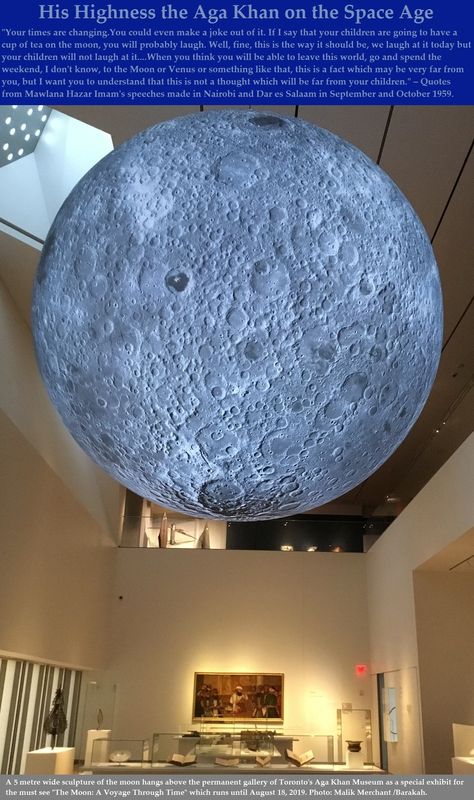 I am simply awed and impressed. The composition is just simple, but otherwise, so deep. The guidance that the Imam and the Imamat has given to us, has helped foster a Muslim community that is respected the world over. He is truly the Noor of our time! A 21st century leader of leaders with vision, power, commitment and devotion for his spiritual children. I convey my mubaraki to our global Ismaili Jamat on the auspicious occassion of our Beloved Mawlana Hazir Imam’s birthday. May Mawla Bless us with lots of Barakat….. Ameen. Birthday of Our Mavla is a Birthday of a New World. A world full of Hope and Happiness. He comes again and again to be with us, so that we may not feel alone in this troubled world. He accompanies us everywhere….and we know that even if the world will crash down any day we are happy…so happy…because He is with Us….Murtaza Ali is with us….our Creator is with us…our Guide is with us…our Hope is with us….our Happiness is with us…we love Him more than ourselves….O Movlana…ya Noor-e Parvardigar we love you forever. LOVE, LOVE, LOVE for the Imam of the time. Happy Birthday Mawla Bapa and my humble Shukharana for your continuous guidance, love, comfort and strength that you give me every day! Shukhar Mawla for your blessings that you pour on me and my family. Mawla you inspire me so much. I am so blessed to be an Ismaili. Saligrah Mubarak to all my brothers and sisters worldwide. Congratulations Simerg for your inspiring knowledge. Keep up the good work. and be with us for ever and ever. Saligrah Mubarak to all Ismailis Worldwide from Japan jamat and from my family. Let us all say Salwat on this precious occasion and give Shukhrana to our beloved Imam. Saligrah Mubarak to all Ismailis Worldwide. Happy birthday to Mawlana Hazar Imam and Salgirah mubarak to all Ismailis all over the world. Nice collections. Congratulations to Simerg. Very inspiring , refreshed knowledge. We are blessed to be Ismaili Muslims. I believe sharing true knowledge of the Ismaili faith is one of best gifts we can give to living Imam. Heartiest Salgirah Mubarak to all Ismailis the world over. The posting is very appropriate and befiting the happy occasion. It is also very inspirational and educational and the pictures are of very high quality. Allahumma salli ‘ala Muhammadin wa aali Muhammad. Salgirah mubarak to all my brethren around the world on the joyous occassion of the 75th birthday of our beloved Hazar Imam. In a sense our Mawla has been Imam of the Time for the whole Muslim Ummah. He has worked relentessly to project the ethics of Islam and bridge the gap between the Muslim world and the rest. He has sought to strengthen the links between various tariqahs within Islam by his outreach to everyone. He is truly a world leader. My humble Shukarana in your Holy Huzur for always being there for me and my loved ones. Every time I think of you, I find you are right there holding my hand and comforting me and blessing me with your Dua, and telling me “don’t worry my beloved child, I am here and I will take care of you.” Shukar Mawla for giving me strength in my hardships and allowing me to keep my head no matter what the situation is; shukar Mawla for your countess blessings and barakat. A very happy birthday, Mawla. I hope and pray that we all murids of yours are able to see your Diamond Jubilee. We crave for your blessings for good health and Iman Salamat. Ameen. He is everything in our life. We are nothing without him. He has given us life, discipline, courage, health, wealth and everything we need. On this auspicious occasion of our beloved Imam’s 75th Salgirah, let us express our gratitude and shukhrana for the untiring efforts of our beloved Mowla for his continued care and benevolence for his world wide Jamats. The one who stands above all else – The most beneficient and the most merciful. An excellent set of knowledgable photos. A very happy birthday to beloved Mawla Bapa. We are nothing with out You. You are Mother and Father of us. We love you so much. Day and night be with us.